Ball cap, adjustable strap, putty color. 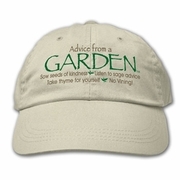 Advice from a Garden. 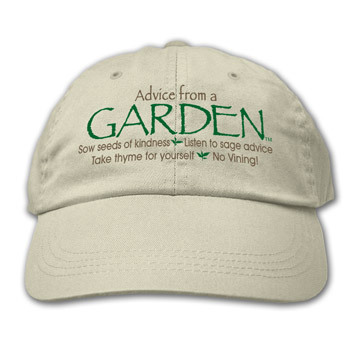 Sow the seeds of kindness / Listen to sage advice / Take thyme for yourself / No vining!